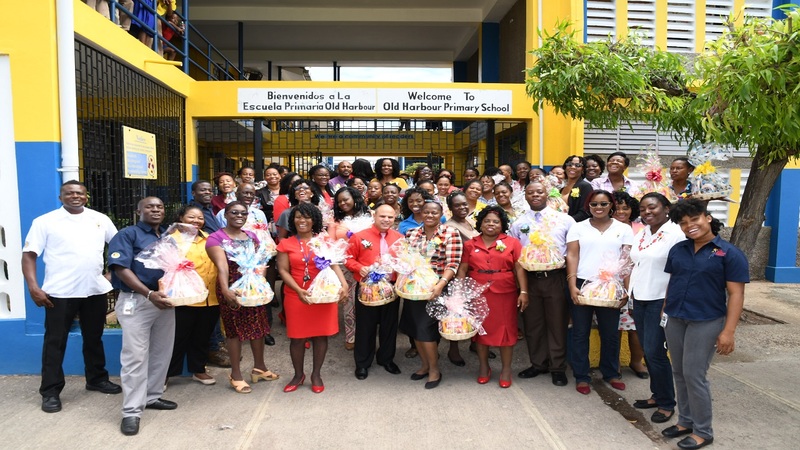 Tricia Jackson (second left), Operations Manager, Hi-Pro Farm Supplies Store, holds one of the many items donated by Hi-Pro to the Jamaica Defence Force contingent to Dominica. Accepting on behalf of the JDF are Lieutenant Colonel Mahatma Williams (second right) Commanding Officer 1, Engineer Regiment and Regiment Sergeant Major Hecton Stone (right). Looking on at left is Dayne Patterson, Business Development Manager, Hi-Pro. 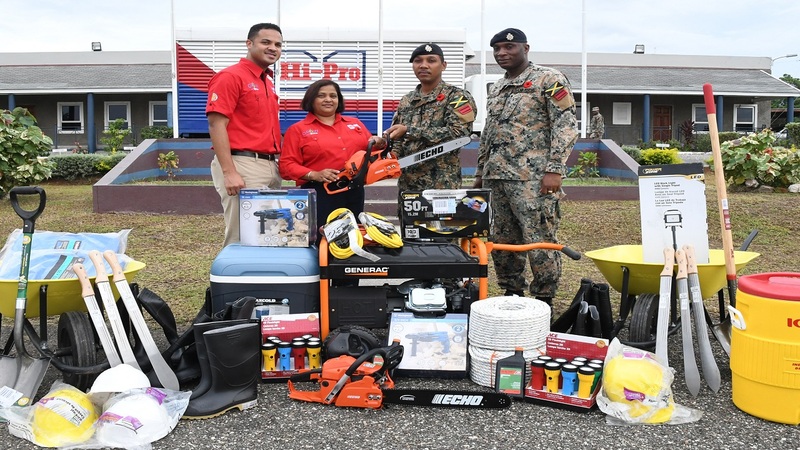 Jamaica Broilers Group has donated tools, equipment and supplies valued at about $1 million to the Jamaica Defence Force’s contingent which left the island last week for Dominica to assist storm-ravaged neighbours. In addition, the Group will be shipping food items and clothing over the next few weeks, valued at millions of dollars, to selected islands in the region to assist Hurricane victims. 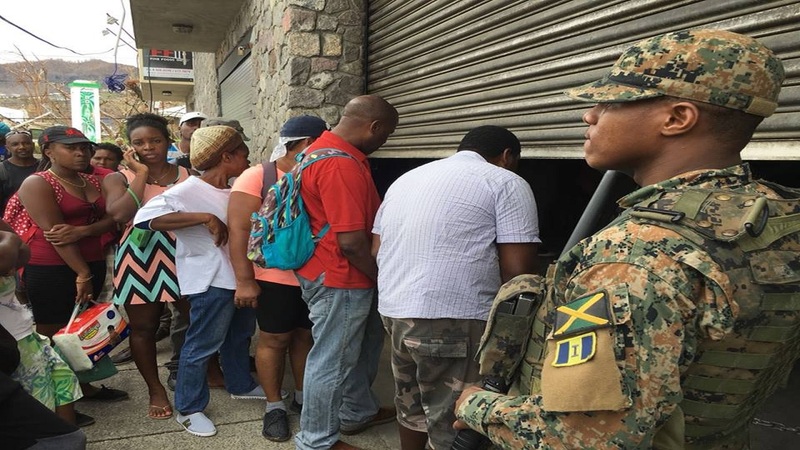 “We see it as our responsibility to help those who have been affected and this is just the start of the support we intend to give our Caribbean neighbours who have been dislocated and are without food, water and basic amenities,” said Conley Salmon, President - Jamaica Operations, Jamaica Broilers Group. “I want to thank the Ministry of Agriculture for its quick and positive response to our request for an export permit to allow us to ship relief supplies of food, including Best Dressed Chicken products,” he continued. Best Dressed Chicken is the Jamaica Broilers Group’s flagship brand. “We are also in discussion with our customers who have been left destitute, to see how we may assist them individually. 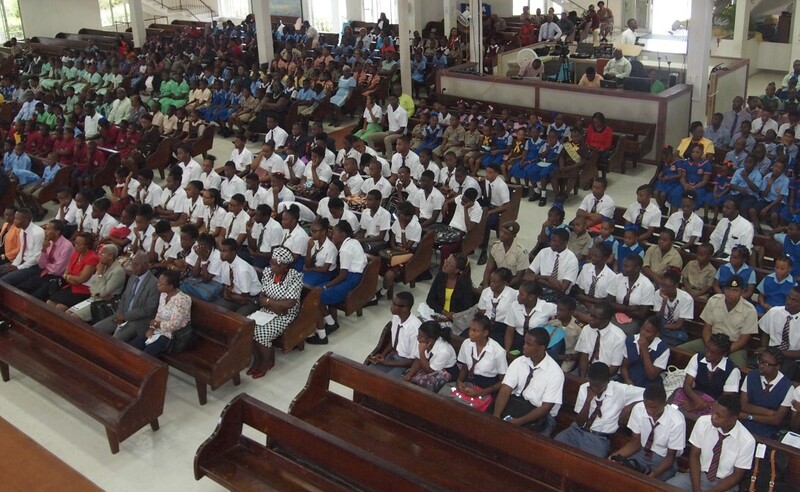 Jamaica has benefited from the kindnesses of people around the world when we have been affected by storms and hurricanes, so it is our turn to show God’s love and care. “Our members of staff locally and regionally will be playing their part by conducting a clothing drive to assist the Hurricane victims. This is how we intend to show love to our neighbours,” said Salmon.